Lock in a great price for Lighthouse Suite - Acre – rated 9.7 by recent guests! Everything..perfect.. Our host Zaher was great. Best location...beautiful suite. The BEST!! The owner was very nice and actually met us in town and walked us to the property. He showed us around the property and offered us a bottle of wine as a gift. There were snacks and drinks in the mini fridge available as well as slippers and robes , loved all the extra touches. Gave great recommendations of restaurants nearby that were AMAZING. If you are staying in the area this is a must stay ! Very romantic location. The view of Lake was grand, but the construction sites, abandoned cars, and piles of trash in neighboring properties cut down on it's appreciation. Breakfast was arranged at a nearby cafe that was very nice. Really a wonderful experience living at Acre lighthouse. 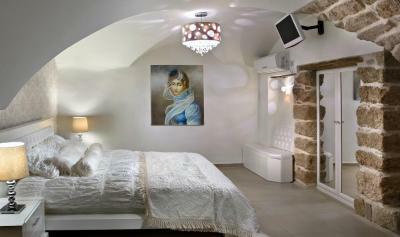 The house is decorated based on ancient stony architecture, well equipped and clean, and feels like living in a castle. The host Zaher is always ready to provide help and touring information. 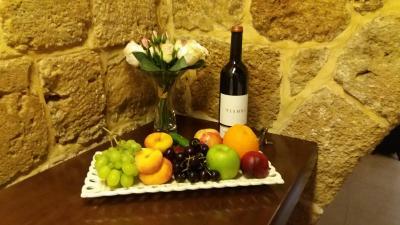 We were welcomed by wine and local foods (milk, juice, coffee, buscuits, etc.) . The breakfast was also very generous and substantial, with great sea view. 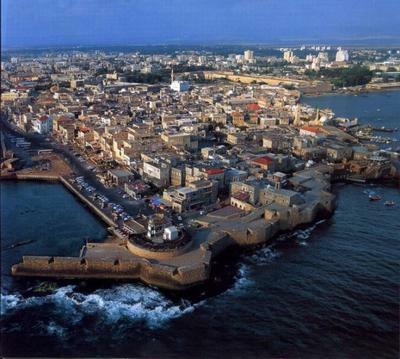 Recommend to live here and explore Acre more deeply. Zaher the host went over and beyond to help in any way you wanted, he was better than concierges in most hotels in Israel. 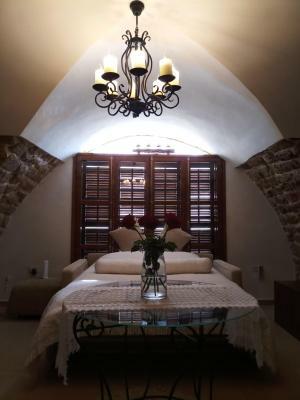 Nice big apartment, cool and comfortable, in an ideal location for walking old Acre/Akko- the perfect place and location near the Lighthouse to get away from the bustle of the town and relax overlooking historic ruins and the sea & sunsets, either in a posh restaurant nearby ( Uri Buri); or a great sea view with good seafood ( Doniana) or the bfast cafe ( included in my price) right beside the ruins in the sea, all less than 5 mins walk. 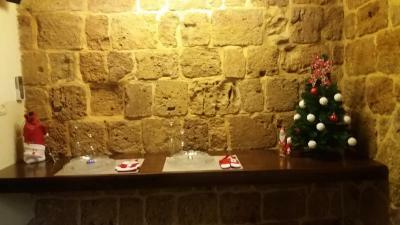 1st tip= definitely stay in Akko. 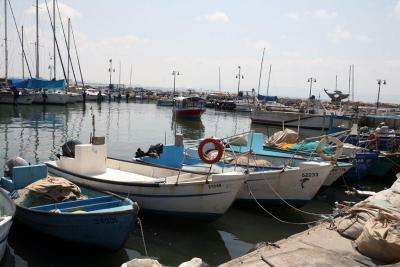 We stayed 4 nights and toured Golan Heights and Sea of Galilee from here. 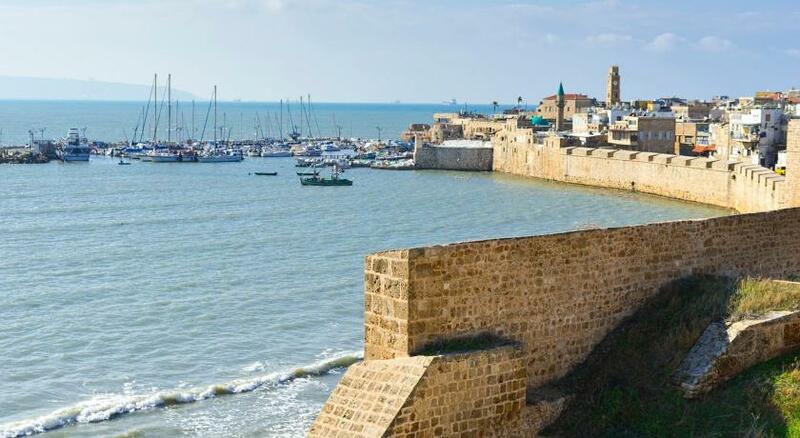 Much better than staying in Jerusalem or Tel Aviv and doing Akko & Haifa in a day. 2nd tip = stay here! We a little concerned we would miss the safety net of a big hotel as we organized tours, transport etc as we went along, but we found Zaher better than the hotels. 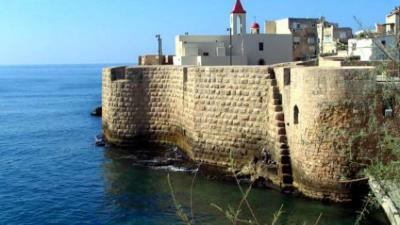 Acco is a great city to visit. 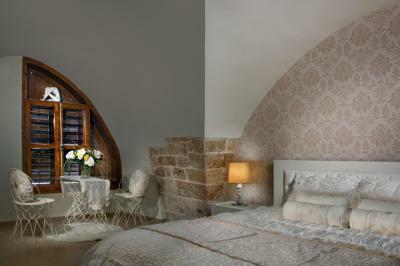 And the Lighthouse suite is the perfect spot to stay. 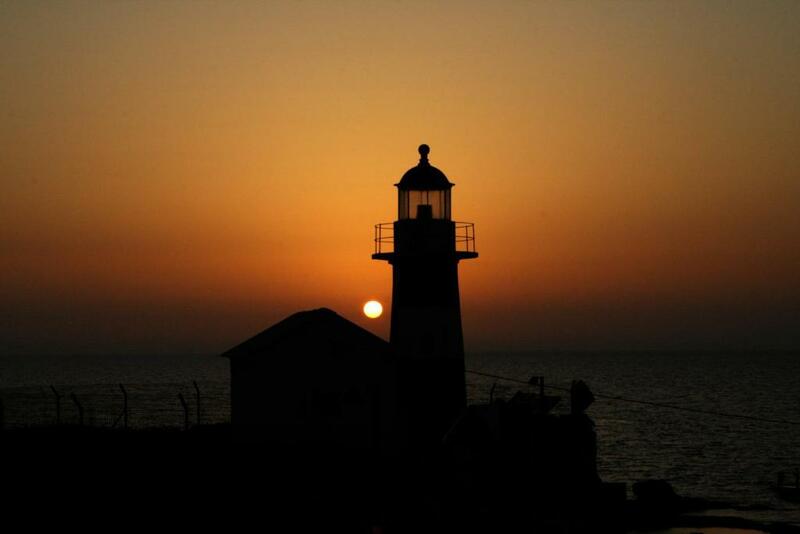 It is located not in the lighthouse itself but at 50m walking from the lighthouse and is named such because in previous times the operator of the lighthouse used to live there. It is a fantastic apartment with all you can desire for an excellent stay. It even has a jacuzzi to chill out. We had a marvelous stay. 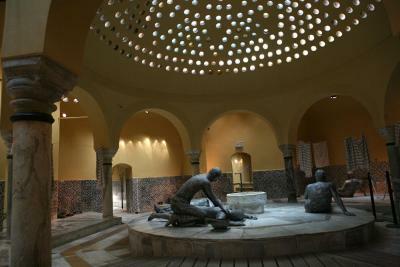 it is located in the old city center and the parking nearby is free. Restaurants around every corner and 2 houses down a small supermarket where you can get drinks and snacks. Our host Zaher was always available via WhatApp to come with suggestions and recommendations. Breakfast included in the coffee shop on the promenade. 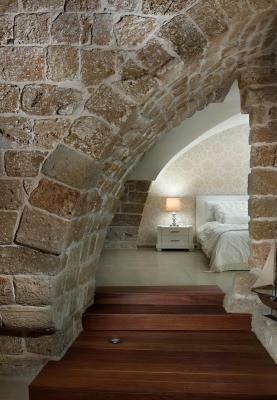 Located in The Old City of 'Akko, in front of the lighthouse, this suite is located 2.2 mi from The Bahá’í Gardens in ‘Akko. Free WiFi is offered throughout the property. 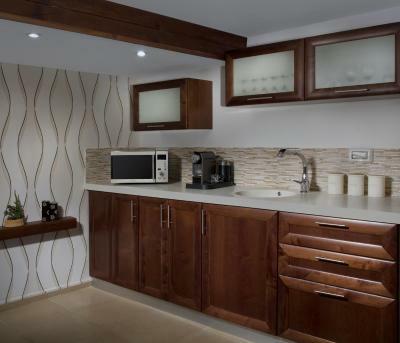 The kitchen comes with a microwave, a fridge and a stovetop, as well as a coffee machine and a kettle. A flat-screen TV and DVD player are available. 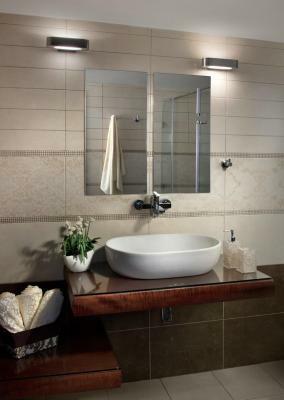 There is a private bathroom with a hot tub and bath. Car hire is available at the property and the area is popular for fishing and hiking. 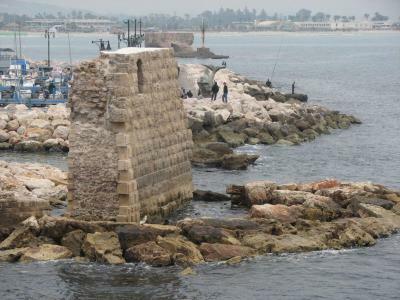 Acco Marina is 650 feet from Lighthouse Suite - Acer, while Ethnographic Museum "Treasures in the Walls" is 2,650 feet away. 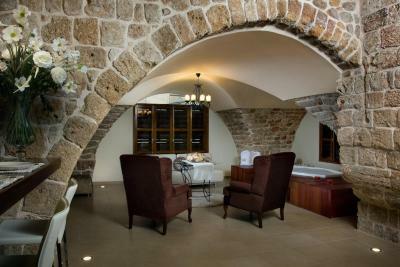 When would you like to stay at Lighthouse Suite - Acre? 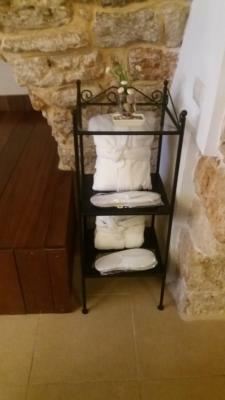 House Rules Lighthouse Suite - Acre takes special requests – add in the next step! Lighthouse Suite - Acre accepts these cards and reserves the right to temporarily hold an amount prior to arrival. Please inform Lighthouse Suite - Acre of your expected arrival time in advance. You can use the Special Requests box when booking, or contact the property directly using the contact details in your confirmation. Leaving..it is a magnificent suite. Nothing. There is not much of a view from the windows but you dont need it when you have such great cafes and restaurants so close. It feels like a sanctuary with the shutters closed against the sun and although I normally like views when I travel, here I did not miss it after starting the day with bfast next to the sea and ruins. 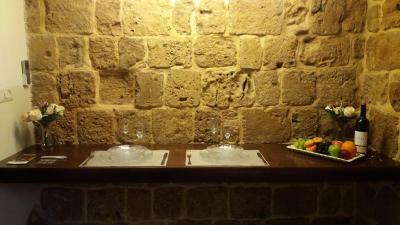 Located in the very heart of Acre’s historical walls, in a mediaval building. ( is said it was the house of the light house supervisor...) Entrance is a bit weird but only few steps, i would say is a typical middle east old city view... Once you enter the flat, is a revelation. 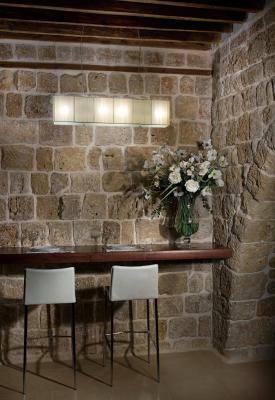 Professionally finished and reconstructed, for architecture and mediaval lowers is a true haven. You feel like a knight. 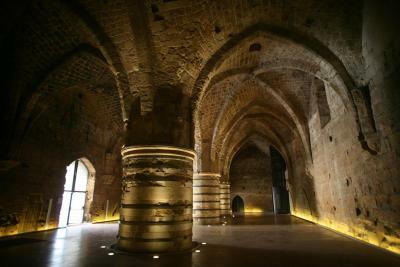 All landmarks are walking distance, templar’s tunnel in fact is running under the block. The owners are very very nice, he occupied parking lot for us and give a lot of good advice. We will definitely go back sometimes. Beautiful room. not a hotel, a private suite . It's a suite, very unique!